Though the SRQ Women in Business Hear Me Roar Awards and Leadership Luncheon won’t be held until April 2016, plans to make it an exceptional experience are already underway! It is our pleasure to announce the Keynote Speaker and Trailblazer Award Recipient for the 2016 annual luncheon and awards ceremony, which will be held on April 21st at The Francis. SRQ Media proudly hosts Hear Me Roar, an event that honors the finalists and winners of the SRQ Women in Business competition each spring. Guests enjoy networking, shopping in a pop-up boutique, a delicious lunch and uplifting remarks from a keynote speaker and honorary recipient of the Trailblazer award. The journey for winners and finalists of the competition begins with a public nomination process, which will open in January of 2016 through February. A selection of notable out-of-market Judges review submissions to determine the top applicants, which are welcomed into the Leadership Circle at the Hear Me Roar luncheon and awards ceremony. The Leadership Circle is announced to the public in the May edition of SRQ | The Magazine each year. SRQ Media is pleased beyond belief to announce the keynote speaker and Trailblazer recipient for 2016. 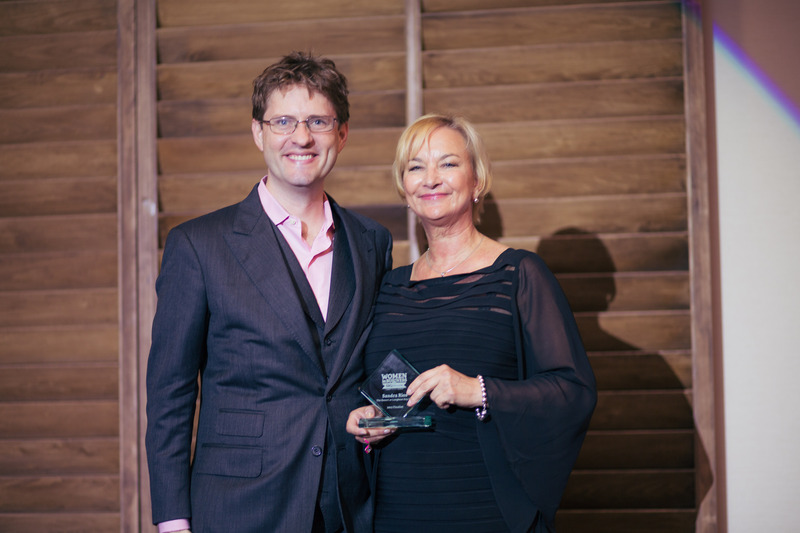 Anna Zornosa’s career has included leadership positions at startups, as well as large public companies. She founded Ruby Ribbon in 2011 after being inspired to create a unique, everyday shapewear apparel company, whose products are only available through social commerce. 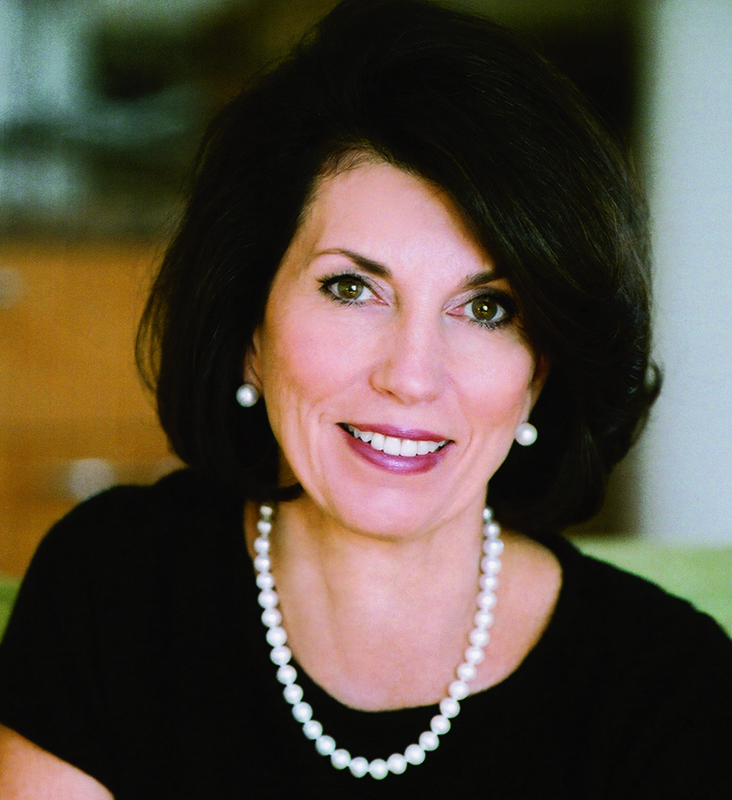 She serves as an Advisor to several other startups including: Motista, Inc, Glam.com, and Chloe & Isabel. 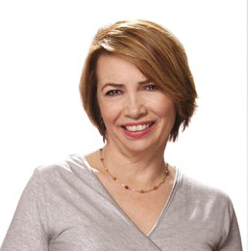 Zornosa has received many awards for her work, including being named one of the “100 Most Influential Women in Silicon Valley” (Silicon Valley Business Journal, May 2011); one of the “Top-100 Influential Women in the Automotive Industry” (Automotive News, September 2010) as well winning the “Innovator Of the Year” award from TARGUSInfo (2009.) She has both a Masters and Bachelors from the University of Wisconsin and lives in Burlingame, CA with her husband and son. SRQ Media would like to thank the Women in Business Sponsors for their support of this engaging community platform: Seaside Bank, The Resort at Longboat Key Club, CS&L CPAs, University of South Florida at Sarasota Manatee, Sophie’s at Saks Fifth Avenue and CCAV. 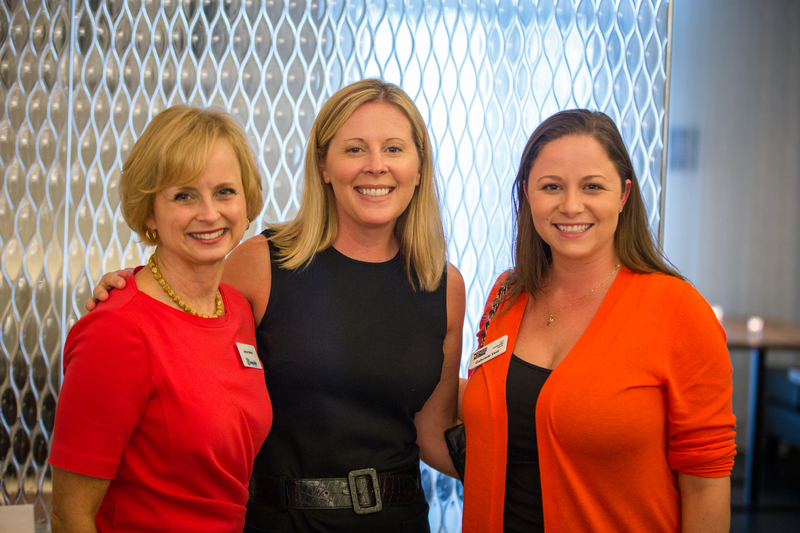 On September 17th, the SRQ Women in Business Program hosted a kickoff celebration at Sophie’s at Saks Fifth Avenue. Members of the 2014 and 2015 Leadership Circle, sponsors and key community influencers gathered to celebrate the official start to the program year. This event served as the prelude to the upcoming monthly Seaside Salon Series steering committee meetings for the Leadership Circle, which will begin next month at The Resort at Longboat Key Club. 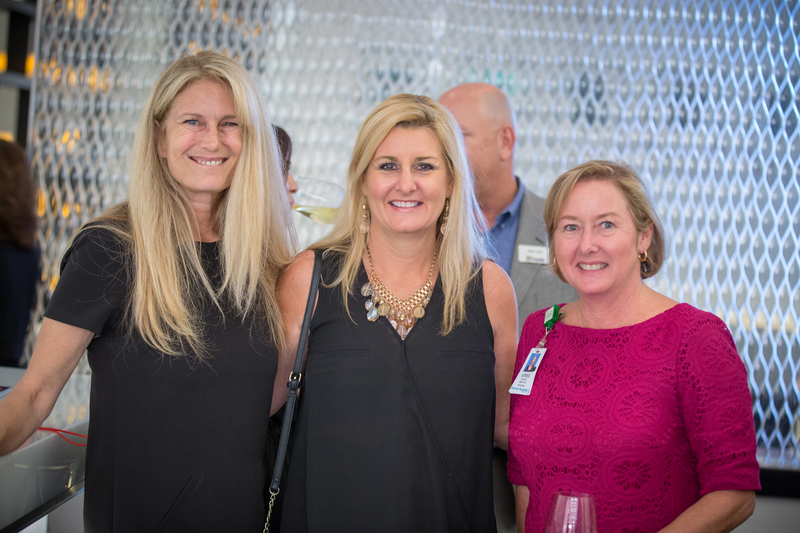 Influential women within the community of varying fields of business, philanthropy, education and the arts enjoyed delicious small bites and champagne while discussing the SRQ Women in Business Program and forging new friendships. Representatives from various cosmetic lines sold at Saks Fifth Avenue sampled products and offered make-up tips using products from Bobbi Brown, Tom Ford, Lancôme and ALAïA fragrance. It was such pleasure to witness networking in action as many guests met each other for the first time and made lasting connections. To purchase your tickets to the SRQ Women in Business Hear Me Roar Luncheon and for more details on the program, visit SRQHEARMEROAR.COM. 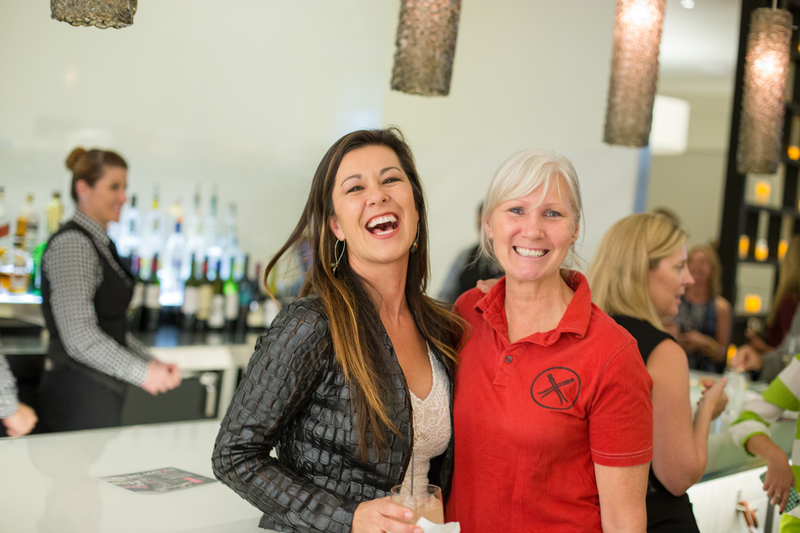 A gallery of photos from the SRQ Women in Business Kickoff celebration can be viewed here. 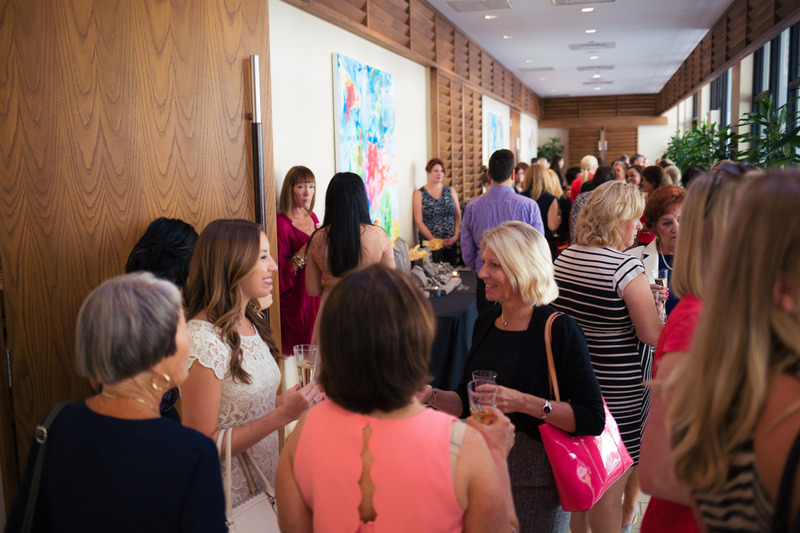 Yesterday, SRQ | The Magazine hosted our first ever Women in Business Hear Me Roar Leadership and Awards luncheon to a sold-out audience at The Francis in downtown Sarasota. 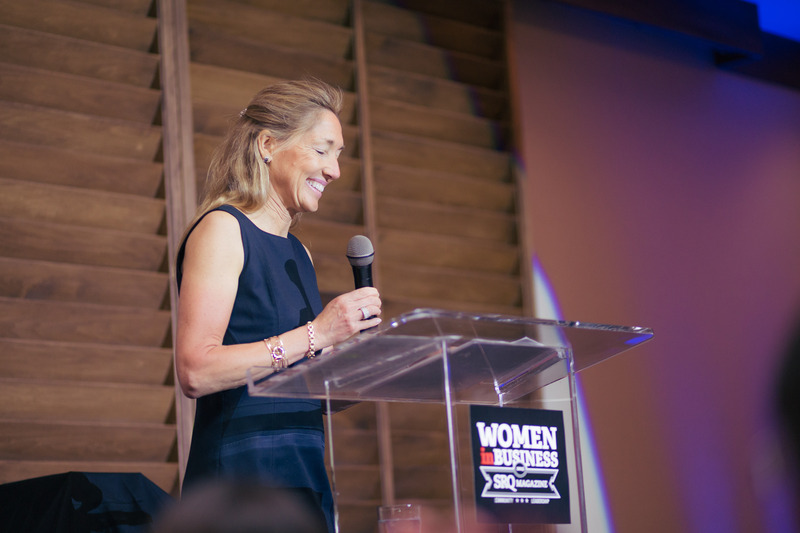 Originally planned as the awards ceremony for the 2015 Women in Business competition, the Hear Me Roar event boasted an inspiring keynote address from Pam van der Lee, Chief Marketing Officer for iMatchative in San Francisco and honored local fashion icon Adrienne Vittadini with the inaugural Women in Business Trailblazer Award. 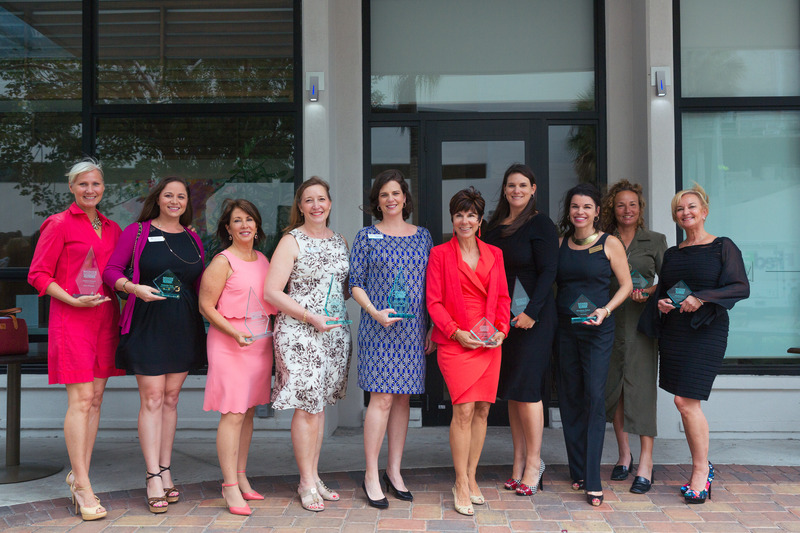 SRQ was incredibly proud and honored to introduce new inductees to the 2015 Leadership Circle, comprised of the finalists and winners of this year’s Women in Business Competition. As each recipient was recognized, a quote or snippet of self-delivered advice (in the form of a letter written to their former selves) was projected, allowing each finalist and winner to be celebrated in a very personal way. Feel passionate about something that you do. Identify and engage in the activities, situations and/or environments that thrill you, that make you giddy or even a little scared. Surround yourself with people whom you admire and connect. Lead by example. Be the driver of your success and help others along the way through setting a good example, brining others to the table to participate in decision making and by valuing others. 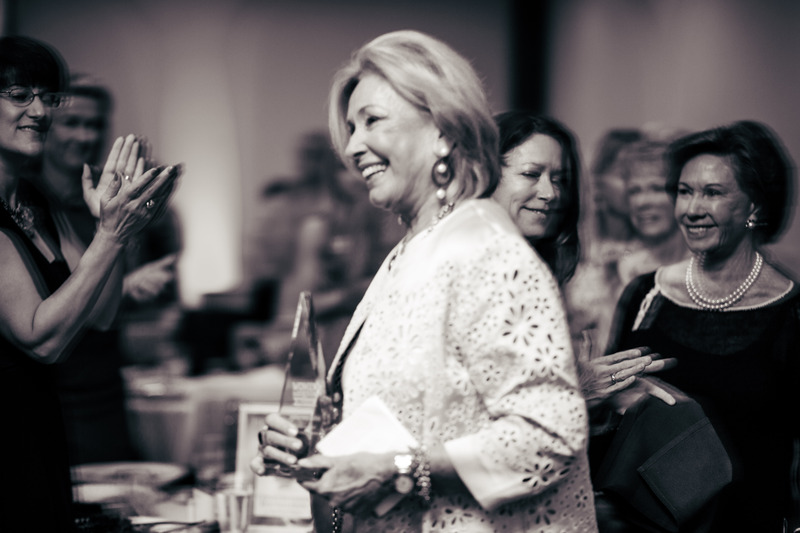 Moved by Pam’s words, the luncheon warmly congratulated Adrienne Vittadini as the very first recipient of the SRQ Women in Business Trailblazer award. 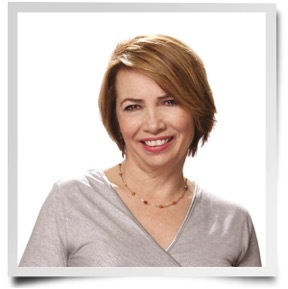 SRQ Media CEO and Editor in Chief Lisl Liang reflected on Adrienne’s longstanding and impressive career – turning a lifelong hobby into an impressive and celebrated international corporation. Accepting her award, Adrienne attributed a great deal of her success to reinventing herself. Taking risks, being adventurous and not being afraid are all actions she encouraged us take – and to take often. We look forward to getting to know each of the winners and finalists and learning about their incredible and unique success stories in the coming year. SRQ Magazine would like to thank our incredible sponsors for their support of the Women in Business initiative and the incredible nominees, finalists and winners: The University of South Florida Sarasota-Manatee, Saks Fifth Avenue and Sophie’s, and The Resort at Longboat Key Club. To view a gallery of photos from the Hear Me Roar Luncheon, click here. Check out the Women in Business Special Awards Section in the May 2015 edition of SRQ, on newsstands and online next week. Stay tuned for announcements from the Women in Business mentorship initiative in the coming months.